The 6 year-old Richmond supporter’s Saturday started as it always does when his Tigers play on Friday night. Up we were, his kid sister joining him with breakfast in front of the recorded game before they joined me, their Hawks-supporting father, on the couch. This week, with a win over the Bombers that rarely looked in doubt and a Richmond team who already appeared destined for the Minor Premiership, the game was more relaxing than normal for the often nervy little Tiger. Soon after the game, the kid was talking confidently about the Tigers’ chances come September. “You know, they might not win the Premiership again this year, mate,” his father cautioned. “I know, Dad. But wow, making the grand final twice in a row would be amazing! 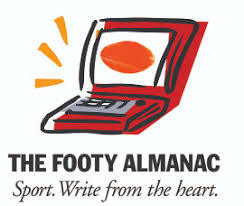 The Brisbane Lions made the Grand Final twice in a row, but they lost both of them.” At this comment, my perception of time slowed as I wracked my brain in an attempt to remember the Lions losing a Grand Final to anyone other than Port in a season that was well prior to the kid’s footballing knowledge kicking in. But as my internal creaky wheels of trivia grated against memories of Voss, Aker, Lappin and Black, I was interrupted by the kid’s next sentence: “The girls were so sad after they lost again this year.” My immediate grin broke into a laugh as I realised my failing. The boy who’s growing up in the AFLW era talks about their premierships in the same way as he does those won in the AFL. As a still relatively new parent, I haven’t been surprised that my children see things differently from their crusty old Dad, but I have been stunned at how often their fresh perspective causes me to adjust my thinking. If only the AFL Commission were eavesdropping on this conversation, I thought, particularly with it being led by a perfect representative of one of their key constituencies. He and I were due to collect the week’s shopping, and with the drive due to take at least 4 minutes, last weekend’s Footy Record was selected as the trip’s reading material. Various commentary, particularly of statistics on this journey, was tossed towards his father en route. Between supermarkets, the newsagent was visited so that pocket money could be spent on a couple of packs of footy cards. Prestia and Grimes were obtained – two Tigers in one packet delivering the kind of vocal eruption from the back seat otherwise reserved for Tiger goals during a broadcast. It was his mother’s turn to take him to his own game on this particular Saturday afternoon while his kid sister and I enjoyed each other’s full attention elsewhere. He had two games in the afternoon, actually, as he was invited to play up with the under 9s for a quarter after he’d said he was keen to play with them next year. He loves the idea, as they are allowed to tackle and marks are only paid when kids actually take and hold one, rather than just getting a hand or two to the ball. Apparently he played well, particularly on a play where he made a tackle, won the free, and slotted the goal. At game’s end, the opposing coach said “See you next year, mate!” His mother replied “Umm…he’s VERY young!” His coach had the final say: “One more year of training, mate, and you’ll be ready!” And off the kid ran, happy as you like, to rejoin his under 8s where he’s still one of the youngest on the field, a couple of years younger than many of his teammates. It rained, blew a gale, and the apparent temperature ranged between -0.1 and 3.0 degrees despite the game starting at 2:45pm. And yet, all he wanted to do when he rejoined his sister and I back home was talk about how awesome it was to be out there. That night, his mother and I had the rare honour of a combined night out, with an adored aunt and her adored bloke on babysitting duties. The kid roped one of them into a good hour of one-on-one indoor footy in the playroom around watching the Swans-Giants game until well past the final siren so that he could see Buddy receive the medal and Kennedy the cup. One can only estimate the high likelihood of the ensuing dreams involving the oval ball. There was a brief moment, as he was lying on his parents’ bed after his post-game shower, when his thoughts were distracted away from footy. I confirmed with him that he wanted me to sign him up for cricket this summer. He took half a second to reply in the affirmative. In mid-August, when the AFL is as omnipotent as it is in the consciousness of our little boy, it’s almost impossible to imagine a world where the kid won’t reply with “I’m going to play for Richmond” when asked what he wants to do when he grows up. A world where he won’t be commentating his own footy games as he plays for both teams in the playroom. Where he won’t be tossing up predictions from the backseat about which players will be playing on each other next weekend. Where Sunday night won’t mean that the evening’s routine is dinner, shower, the weekend’s footy highlights, book, bed. And yet, while it’s incredibly hard to fathom, we parents know that world is but a couple of months away. And the footy-obsessed world we inhabited in August? It will feel like an alternate dimension.